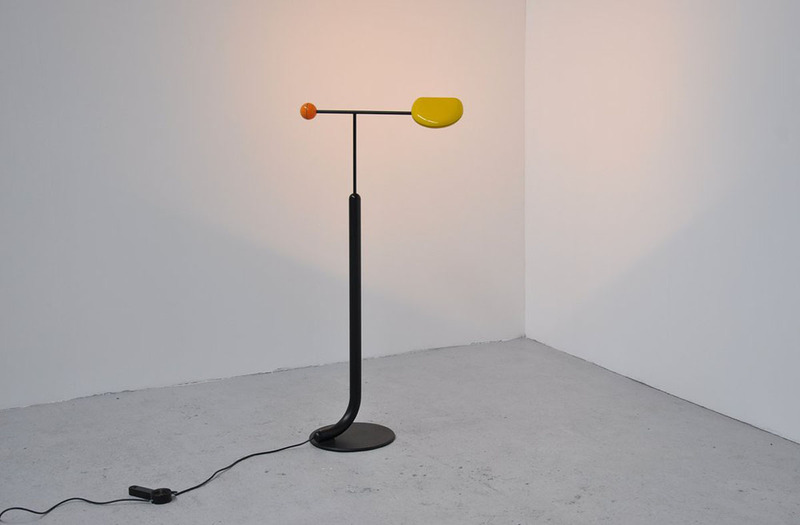 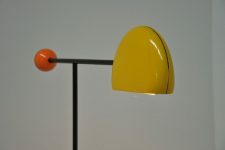 Very nice post modernism floor lamp designed by Toshiyuki Kita for Luci, italy 1985. 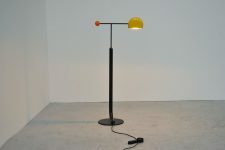 This rare floor lamp was designed by a Japanese designer, well known by the Wink chair he designed for Cassina. 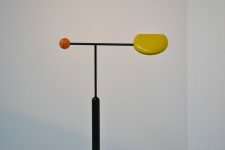 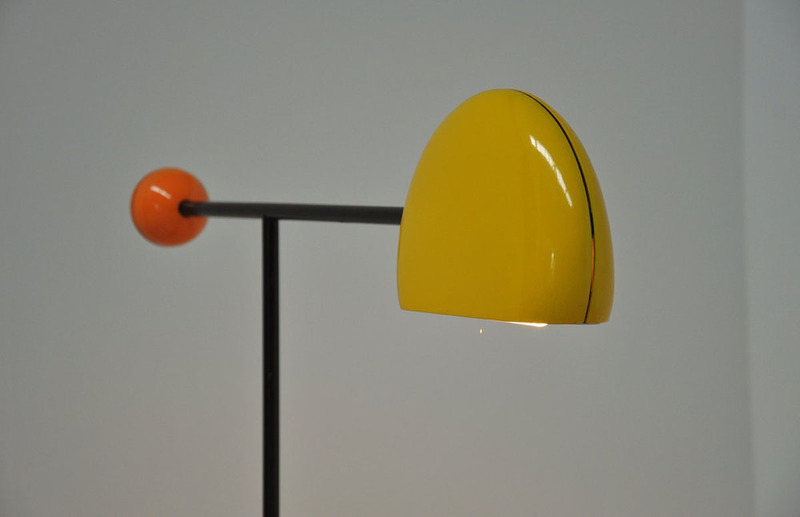 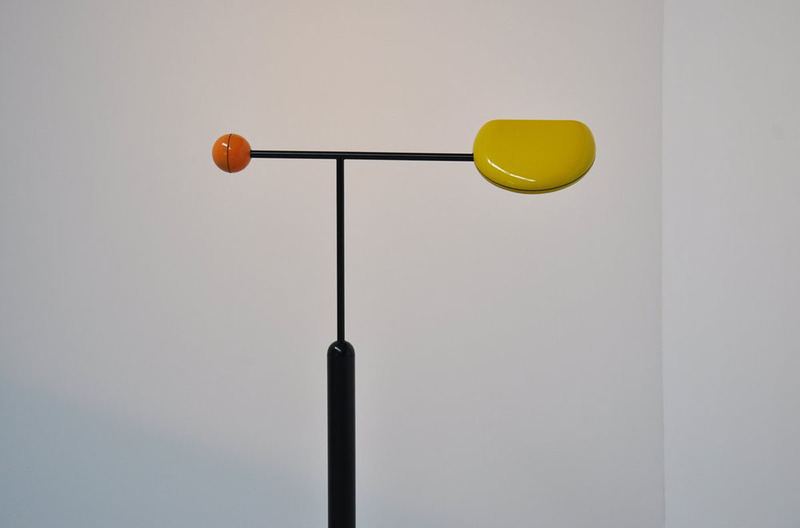 This lamp was called Tomo and has a black metal foot, plastic orange ball and and rotatable arm with yellow plastic shade. 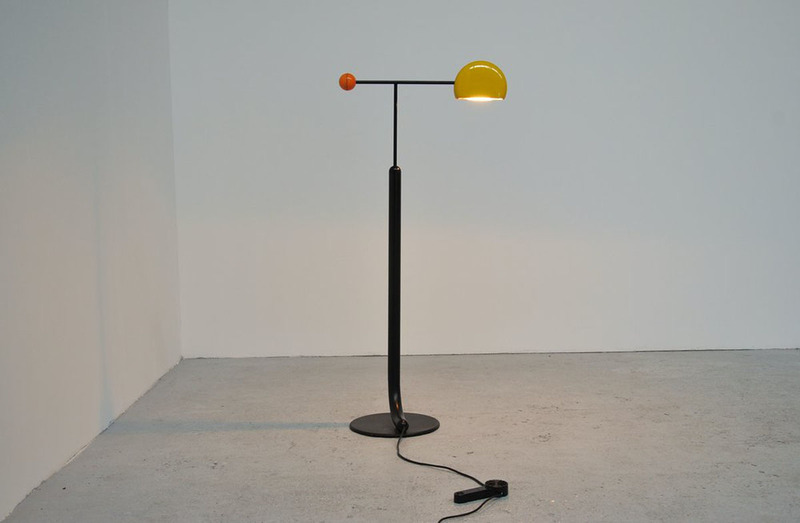 The lamp is in good working condition and the shade is also rotatable to use as reading lamp.